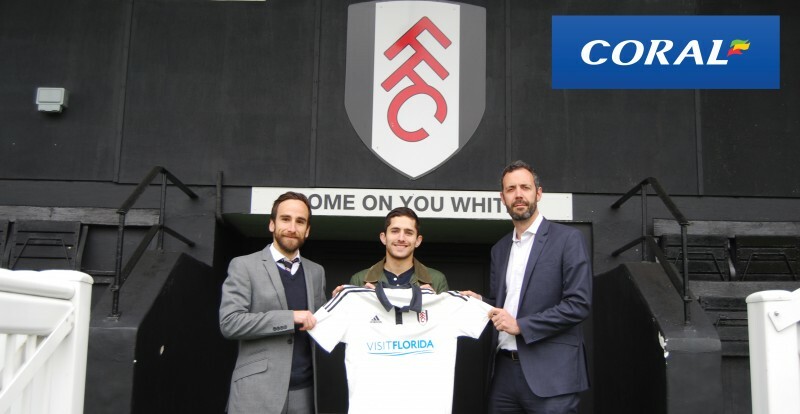 Coral is proud to announce that a donation of 25 Fulham FC Home football kits will be made available to Fulham Deaf Football Club (Fulham DFC), who currently train at the Championship club’s Motspur Park training facility. The kits will include 25 home jerseys, shorts and socks. Coral and Fulham joined forces for the partnership deal in August 2015, taking sponsorship of the Putney End Stand at Craven Cottage, with subsequent betting booths now available around the west London-based stadium for fans to enjoy on matchdays through the campaign. The Fulham kits will be worn by Fulham DFC next season as they look to build on their outstanding 2015/16 season. Fulham DFC is one of the most successful deaf football clubs in Europe with a large pool of Deaf footballers from across London. The club links directly to Fulham FC Foundation which aims to build better lives through sport. The timing of the kit donation comes off the back of one of Fulham Deaf FC’s most successful seasons in recent years across three different fronts. They gained league promotion, were crowned as British Deaf Cup champions by beating Glasgow DFC 3-0 and followed that with a 2-0 victory against St John’s DFC a week later to lift the English Deaf Cup. The club has also seen success from both the Men’s and Ladies deaf sides with strong International representation at the past three Deaflympics Football Competitions in 2005, 2009 & 2013. Furthermore, seven members of Fulham Men’s squad have been selected to represent Great Britain Deaf Football in the Deaf World Cup 2016 next month in Italy, the single largest contingent of players from any one deaf club. ‘We are delighted to receive this news. The home kit donation by Coral will be a timely boost for the players and go a long way towards supporting the club’s progress domestically and at international level. The players will be able to compete with confidence in Division One, both deaf cups (British and England) and at the Deaf Champion League in Greece next season. Therefore, we cannot thank Coral and Fulham FC enough for their support.